Jewelry that is unique, simple, beautiful...You. Announcement "There is beauty in simplicity." 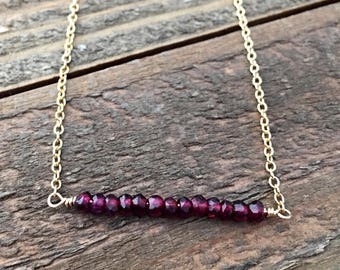 My Sweet September meticulously handcrafts metal artisan jewelry that is unique, timeless and emphasizes the beauty of simplicity with each item. 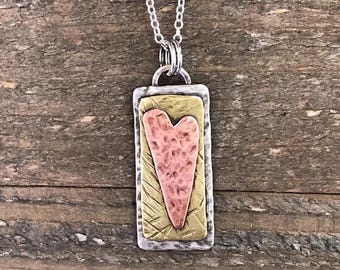 In making our jewelry, we use a variety of materials to create inspirational pieces, treasured keepsakes and simply-stated jewelry for women of all ages who want to wear something that is unique and beautiful, just like her. Need more than one of an item? Although I currently don't do wholesale, I will offer a volume discount. Please contact me for details. Due to the nature of handmade items, some slight variations may occur. Each piece is created after it is ordered and is unique. "Imperfections" or "flaws" add to the character and uniqueness of each piece. I have always loved and appreciated all kinds of art. As I was growing up, my mom was constantly making and creating new things, and she exposed me to many different types of art. I have dabbled in many forms over the years, but when I began soldering in 2007, I absolutely fell in love with it. I began at Christmastime and made ornaments and personalized photo pendants for family members and friends. I was hooked! Over the years, my favorite pendants to make are the custom photo pendants. I have enjoyed making these personalized pieces for people, and some have brought tears to my eyes as I learn the story behind the photos I'm using. I feel so connected to my customers in that way and truly feel honored to have been able to create such a special treasured keepsake for them. My Sweet September began in 2011. I wanted to start selling my pendants on line while I stayed at home with my three young children. I was having a difficult time coming up with a name I really liked for my business. I tried all sorts of things such as combining my kids' names or other things that I loved. Nothing seemed to fit. Then as I was making yet another list trying to find inspiration for a name, it hit me. My youngest daughter, now 10 years old, was born prematurely at 26 weeks in the month of September. She is my sweet little miracle. So My Sweet September was born. Thank you for visiting my store. Please let me know what I can create for you! I am a stay-at-home mom to three kids (one boy, two girls.) I am currently homeschooling all three. Making and creating jewelry is my outlet, and I am extremely blessed to be able to have a home studio where I can be with my kids and run my business.